When selecting a profiling bed for the community market, safety, hygiene and adjustment capability are all key to meeting all necessary care demands. The Apex Trend Adjustable Community Profiling Bed has been specifically designed to meet these demands within a community care environment, and is made with an appealing domestic appearance to fit into virtually any setting. 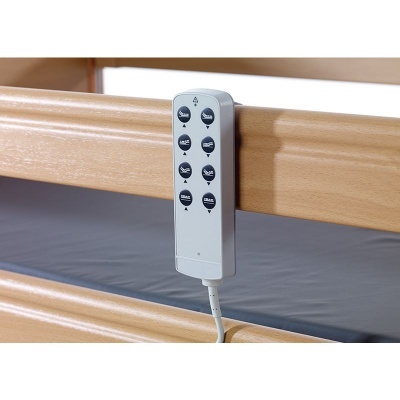 Supplied complete with wooden side rails and an easy-to-use handset for easy control of the bed's wide range of electrically-powered adjustments, the Apex Trend is an ideal option for those looking for maximum capability at minimum cost. While delivery and installation to mainland UK are included in the listed price, additional charges may apply depending on location and situational demands. Featuring an attractive wooden frame, this highly capable bed is designed to meet all of the needs of the modern community healthcare environment. 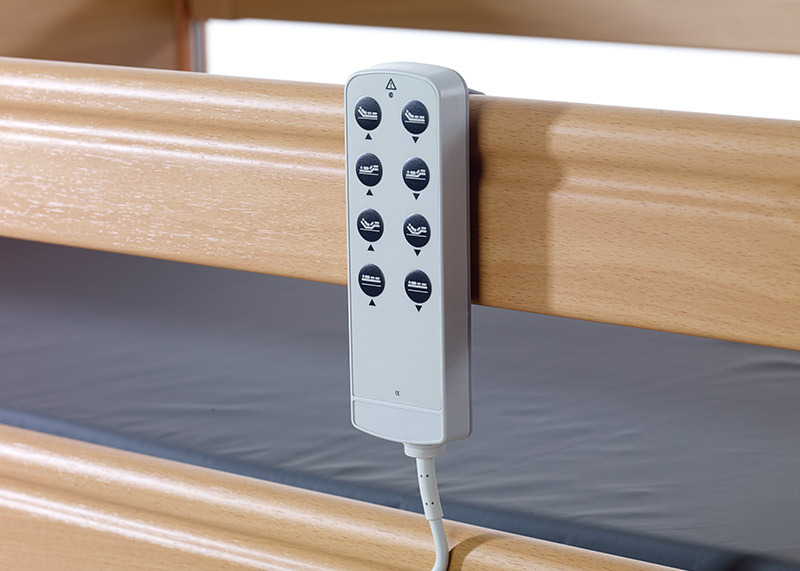 With a focus on increasing user independence, the bed is equipped with an intuitive handset for both patient and carer operation, and offers a number of comfortable seating option to suit each user's preference. It is designed to meet all safety and infection control guidelines, making it suitable for a wide range of care settings. To ensure the bed can be adjusted for virtually every need, it features electrically powered height adjustment, as well as backrest and knee break tilt. The leg section is manually adjustable, allowing for versatile positioning for both comfort and care demands. 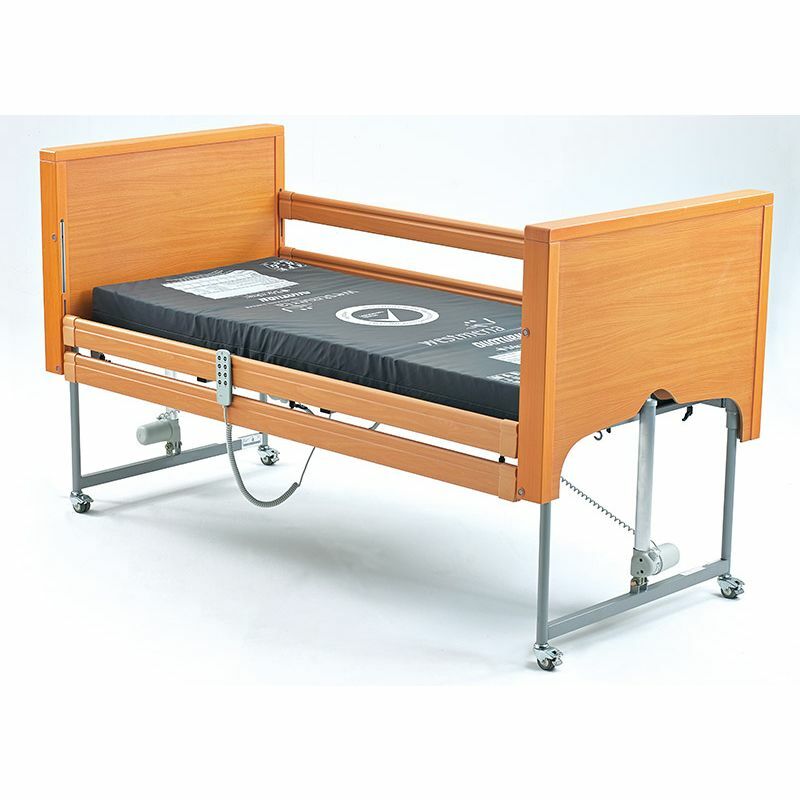 To ensure all safety regulations are met, this bed is supplied complete with integral side rails that can be lowered out of the way below the mattress. It can also be adjusted in height, providing a safe resting position for the user as well as a safe working height for caregivers. Since community and domestic care environments can vary greatly in their capacity and layout, the Apex Trend is made for simple setup, storage, transport and repair. The two piece bed frame enables easy and quick installation, and ensures the bed can be transported and stored away without hassle. The bed is also made with easy maintenance in mind, as the majority of repairs can be carried out easily without the need to remove the bed from the care environment. Please note: While the image above displays this bed in use with a pressure relief mattress, it is supplied as a bed only with mattresses sold separately.